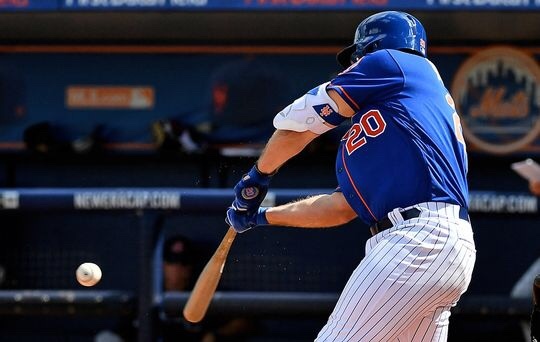 While it’s all but official that Pete Alonso will join the Major League club, come Opening Day, he’s still playing with the tenacity of someone unsure of his place and is desperately giving it his all. Alonso is continuing to rip the cover off of the ball in the Grapefruit League during this year’s Spring Training. Against the Braves, he went 3-5 with a double, an R.B.I., and three runs scored while batting in the two hole. He’s now batting .375 with four home runs, five doubles and 11 R.B.I.’s and continues to slug his way into the hearts of Mets fans all across the country.